Renault, the flagship car manufacturer of France, is planning to introduce its new electric version of its popular car, Kwid, in the Indian market. Kwid is the best-selling car in the Indian market. After the tremendous success of Kwid, the company is going to present its electric version. It is being told that the company will present this car in the Indian market in the next few years. At present, the company is working on its plan, till now the company has not shared any official information about after how long this car will be offered in the market. The experts believe that the company can present this car at a price of around Rs 6 lakh in the Indian market. New Kwid Electric will give a tough competition to Mahindra's famous electric car E2O here. A team of Renault engineers has already left for China for this project. So that this electric hatchback car could be introduced in the Indian market as soon as possible. In fact, these teams will work on car batteries and other electrical equipment in China so that they can improve the car's battery and electric system by their technology. The success of any electric car it is extremely important that her battery management system is superior. Let us tell you, Renault Kwid is currently the lowest-priced hatchback car in the Indian market. Recently, the company has also introduced the Facelift version of this car, which was priced at the same price as the previous model. Since its inception in this market, its sales have been driving the stories of success. At this time Renault Kwid is available in the Indian market with two different engine options. In one variant, the company used the engine of 800 cc capacity, while in the second variant, the company used a 1 liter capacity engine. Both of these variants are petrol models and in both, the company has used 5 speed manual transmission gearbox. However, in the 1 liter variant, the company has also used the automatic transmission gearbox. According to information from sources, the basic version of this electric car will be prepared here in India. In addition, this car's battery management system will be developed in China. It is being told that this car will be introduced in the Chinese market first and it may take up to 12 to 18 months. This means that according to this, the car can be offered in the Indian market within the next two years. Once Renault Kwid Electric will be introduced in the Chinese market, it will be very important and convenient to be offered in India, Brazil and the Middle East. Regarding electric cars, the company's MD Sumit Savane said, "We should present only the right and the exact product in the market. At present, about 40 percent of the cost of any electric vehicle costs goes only in the battery management system and if these systems are provided at local level, then it helps to keep the price of the car at a minimum. Apart from this, other better features and technology can be used in the car at the same price, which attracts the car consumer even more. 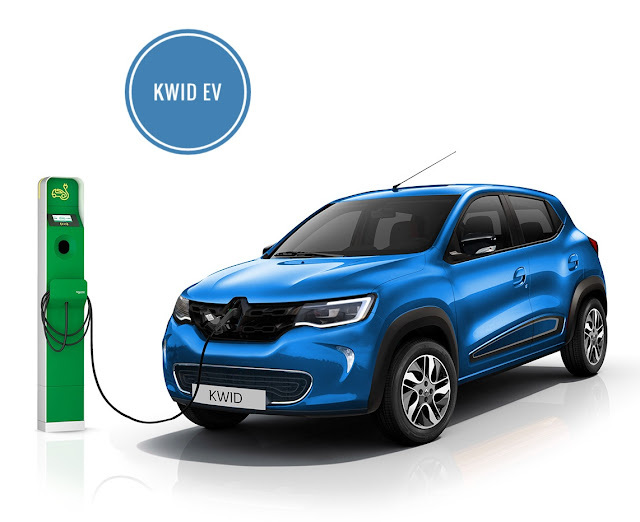 Our Review on Renault Kwid Electric: Recently, Renault shared information about its roadmap for the next 2022. In which it was stated that, the company will soon introduce an electric car in the Indian market. In the overseas market, Nissan and Renault are already working on several electric vehicles which will be offered in the international market. Apart from this, in recent times, the Indian government has also changed its policies for electric vehicles, which will give this project a lot of strength. Now the Indian market is waiting for Electric Renault Kwid.